Panama. In situ.. D.S. Littler. © Diane Littler (littlerd@si.edu). Panama. Habit of dichotomous to irregular branching of strap-shaped blades.. D.S. Littler. © Diane Littler (littlerd@si.edu). Panama. 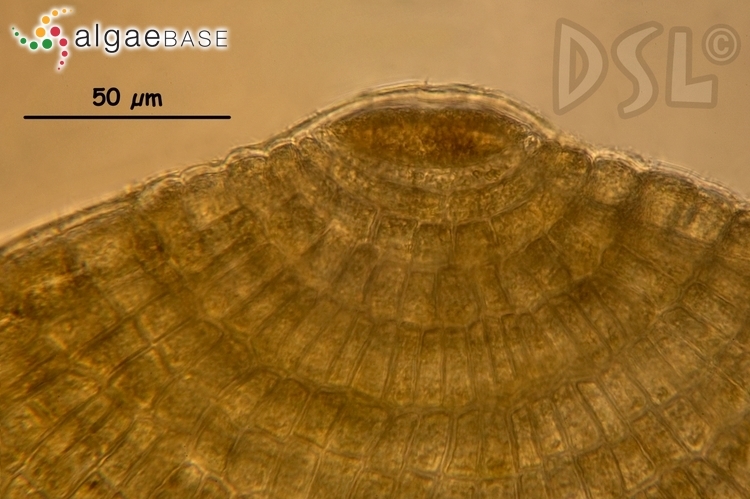 Transverse section of blade margin with small surface cells and single layer of large medullary cells.. D.S. Littler. © Diane Littler (littlerd@si.edu). Panama. 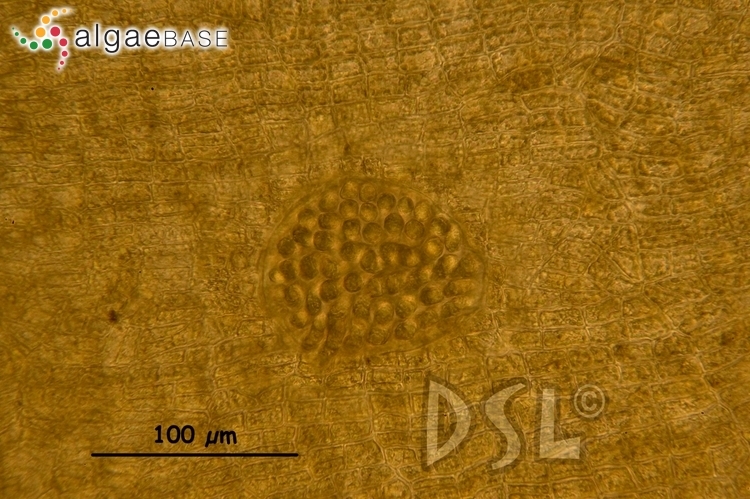 Surface view of large apical cells giving rise to small surface cells.. D.S. Littler. © Diane Littler (littlerd@si.edu). Panama. 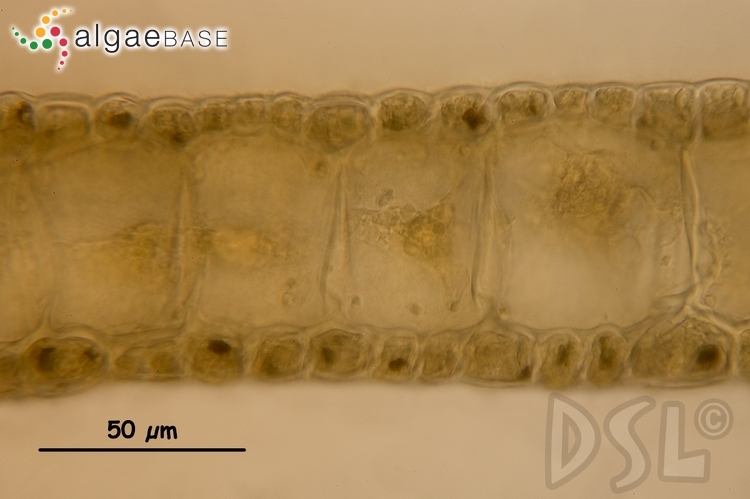 Rectangular surface cells with faint outline of medullary cells below.. D.S. Littler. © Diane Littler (littlerd@si.edu). Panama. 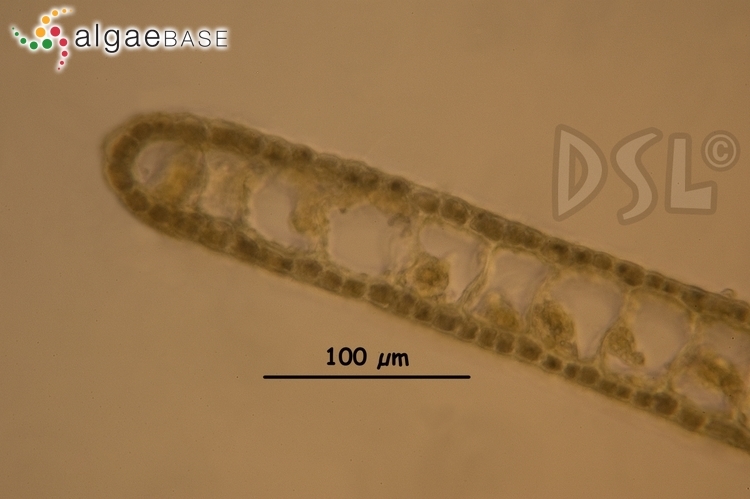 Transverse section of blade with small surface cells and single layer of large medullary cells.. D.S. Littler. © Diane Littler (littlerd@si.edu).
. 01 Apr 2010. D.S. Littler. © Diane Littler (littlerd@si.edu). 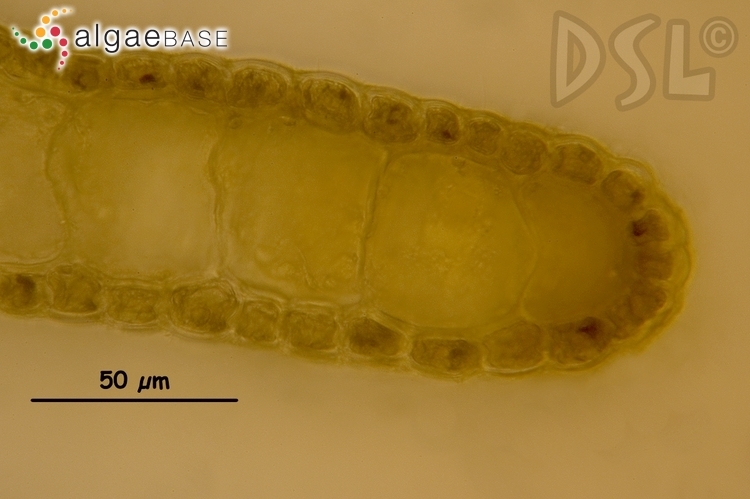 Dictyota binghamiae J.Agardh Panama. 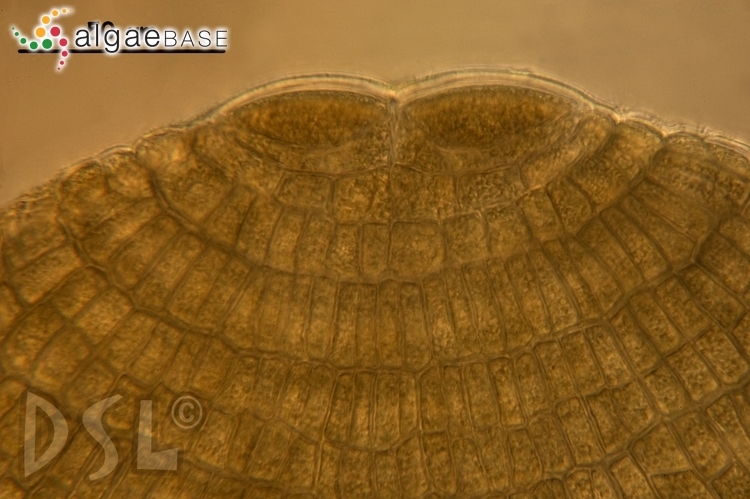 Transverse section of blade margin with small surface cells and single layer of large medullary cells. According to De Clerck (2003), this species has been subject to confusion in the past due to its ability to form a multilayered cortex. 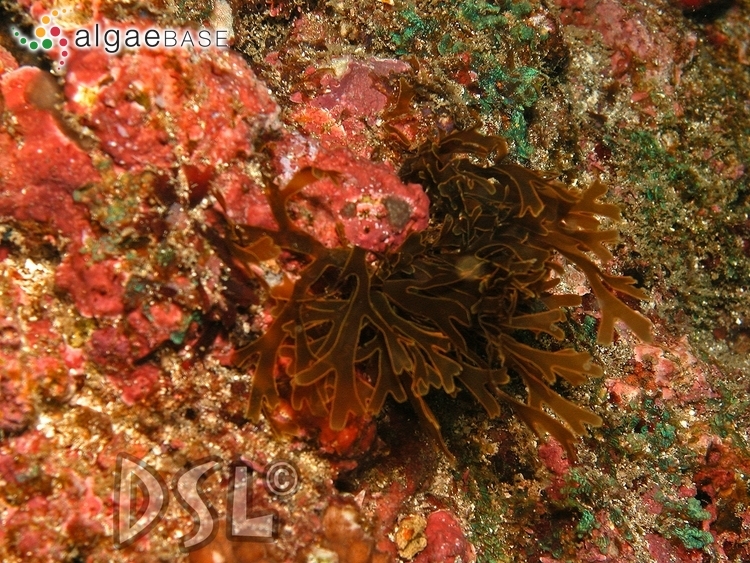 Therefore, Dawson (1950: 84-86) suggested it might belong to the genus Pachydictyon, but this transfer was not widely accepted. Type locality: Santa Barbara, California, USA (De Clerck 2003: 164). Type: LD? (De Clerck 2003: 164). Accesses: This record has been accessed by users 6367 times since it was created. Dawson, E.Y. (1950). 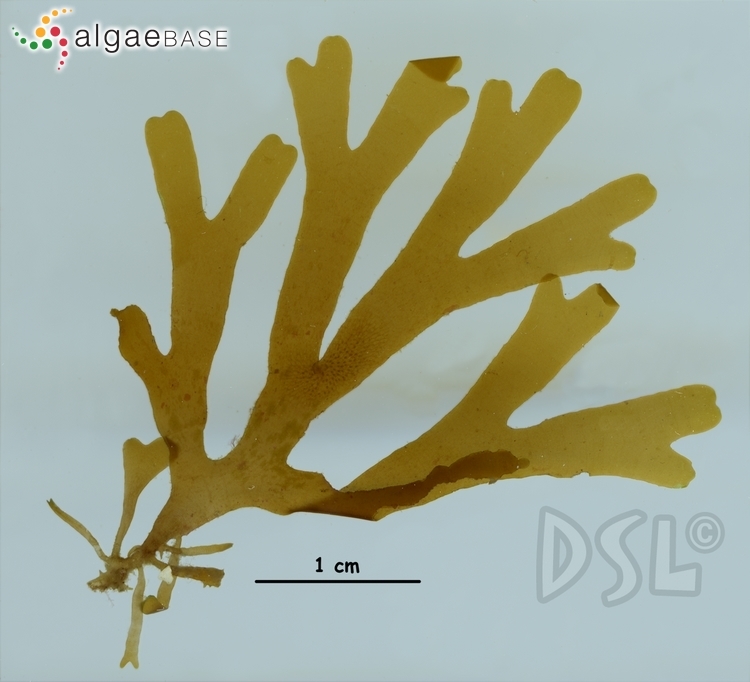 On the status of the brown alga, Dictyota binghamiae J. G. Agardh. Wasmann Journal of Biology 8: 267-269. Foster, M., Neushul, M. & Chi, E.Y. (1972). 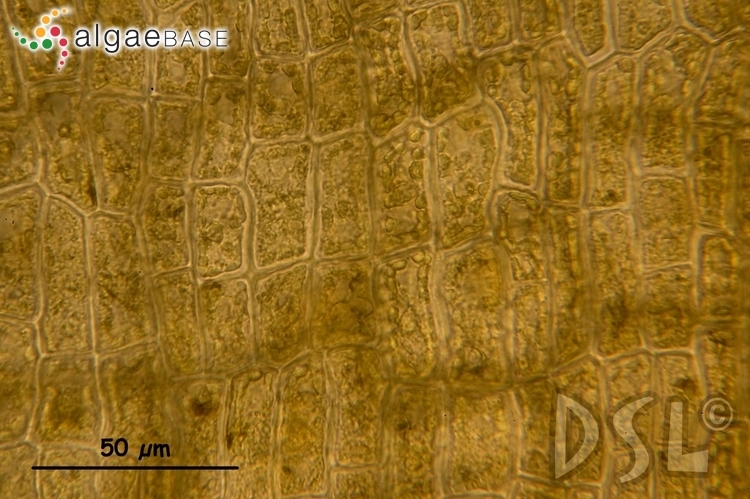 Growth and reproduction of Dictyota binghamiae J. G. Agardh. Botanica Marina 15: 96-101. Scagel, R.F. (1971). 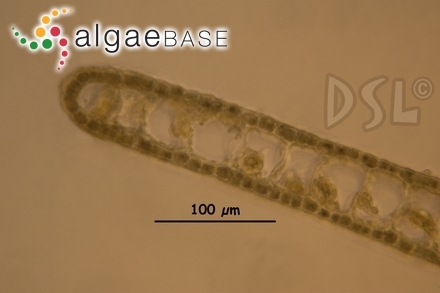 The brown alga Dictyota binghamiae J. Ag. from British Columbia and northern Washington. Syesis 4: 261-262.